At this point, we know that consistent, frequent blogging is critical to your business’ online success. In fact, according to the 2012 State of Inbound Marketing, 70% of companies that publish articles 2-3 times per week have acquired a customer through their blog. Furthermore, according to our 2012 Marketing Benchmarks report, companies that increase blogging from 3-5X/month to 6-8X/month almost double their leads. So how do you turn your company blog into a thought leadership-building, lead generating machine so you can achieve this kind of success? I’ll give you a hint: organization and consistency is key! One of the greatest blogging challenges is not the actual writing. It's stuff like brainstorming topics, targeting the right readers, and optimizing posts with the right keywords and calls-to-action. Lucky for you, this is where our new blog editorial calendar template comes in handy! 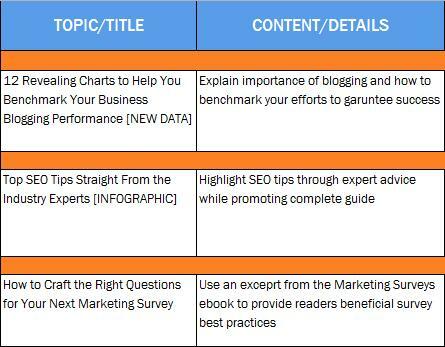 This free template is designed to keep you on track as you develop awesome content that your prospects, customers, and fans will fall in love with. Download this template to stay organized, monitor your keyword use and topic balance, and manage your blog's timing and deadlines. In this blog post, we'll pick apart the pieces of your new editorial calendar template so you can use it to to its fullest potential. 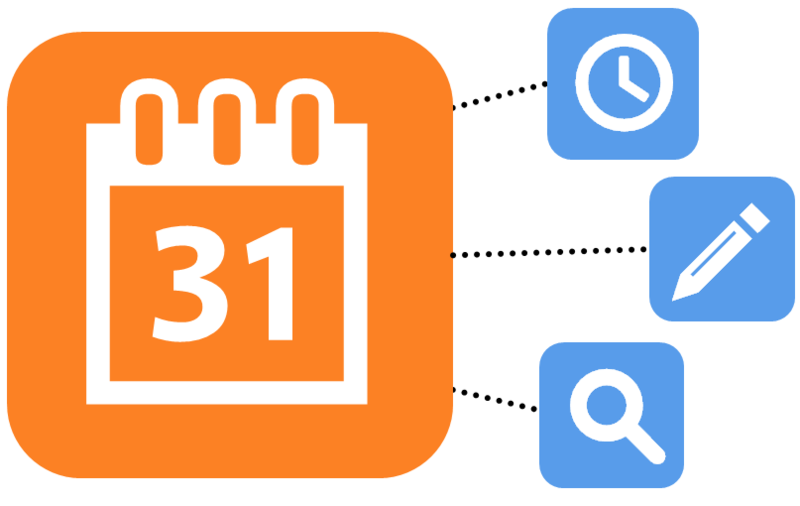 Share this calendar with anyone who will be contributing to your blog (in fact, consider plopping it into a Google doc for sharing and collaboration purposes! ), and make sure they know when they’re being asked to contribute. 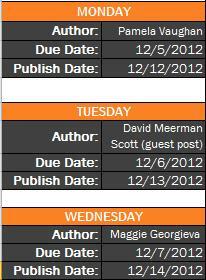 It also makes a lot of sense to assign due dates that are at least a few days ahead of your planned publishing date. I’d recommend giving them a full week -- you may want a larger buffer in case your bloggers need extra time to complete their assignments. This will allow you the time you need to review their articles, go through the necessary rounds of feedback and revisions with writers -- so your writers can improve over time -- and do your final editing and prep work. And don’t forget about guest bloggers, either! Getting external writers to contribute is a great way to not only fill gaps in your editorial calendar, but also to boost social sharing, reach, and the inbound links coming in to your blog content. Guest bloggers are generally proud to share their words on your awesome, thought-provoking blog, so they’ll be eager to push their contributions across their network. It may not be wise to share your internal Google Doc ed cal with external contributors, but be sure to include their contributions in your planning, and give them due dates and deadlines like you would your internal contributors. And to maximize the reach of your guest contributor's articles, consider scheduling them for publishing on the days during which people are more active in social media (Tuesday-Thursday). 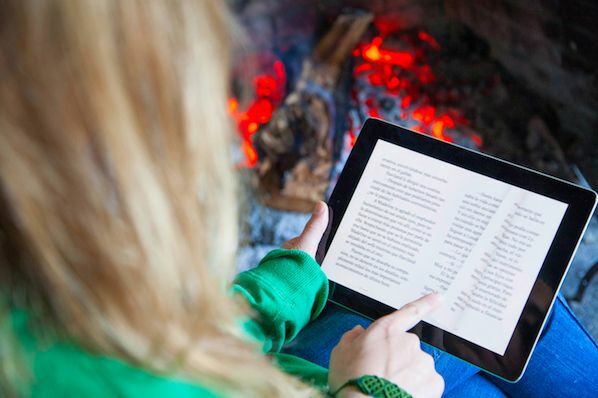 Remember: An engaging title can make or break a blog post. After all, who’s going to read a post that has no hook? Follow the six characteristics of exceptional blog titles: Be actionable, brief, keyword-conscious, clear, definitive, and intriguing. Creating a sense of urgency (e.g. "7 Common SEO Myths to Throw Out the Window Immediately"), or being controversial (e.g. "Is PR Dead?") are also great attention-grabbing tactics. (Just don't be controversial for the sake of being controversial.) “How-to” titles, because they imply that the reader will get actionable advice on how to do something specific, also work great. In your blog editorial calendar template, make sure you write out your full blog titles to ensure you're using a mid of title styles and techniques. This will help you maintain a balanced mix of how-to's, numbered list posts, thought leadership-style content, etc. Remember: Variety is the spice of life! Make sure you jot down some notes under the 'Content/Details' column too. The body content is the meat and potatoes of your blog. You should be solving customers’ and prospects’ problems, earning their trust and becoming your industry’s leader by demonstration. Sure -- your article may have a lot more context on your blog, but that context can easily get lost once it's shared externally. Think of how your stand-alone title would appear in a Facebook post or among a litany of other tweets in a user's Twitter feed. Does the title clearly reflect the content that's inside? Failing to align your article's title with its content is a sure-fire way to lose trust in your readers ... and ensure they never come back to your blog for more. Your company has a mission, right? And if you're blogging, that mission likely includes providing expertise in certain areas that can be explained in a few keyword or key phrases that people use to search. Well, it turns out blogging plays a HUGE role in improving your company's search rank. Okay, okay -- no surprise there. But you'd be surprised how easy it is to overlook SEO when your main focus is content creation. ... target readers! Visualize the people reading your blog as people you want to buy your products or services. Considering that vision, wouldn’t you want to tailor your content to something they’ll want to read and learn from? 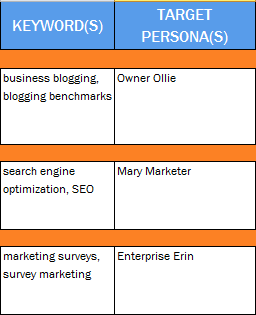 If you're still a bit hazy on who your buyer personas are, check out this post, which is everything you need to research and create detailed buyer personas -- with its own template and all! Then, fill in this this column before you publish anything. If you can’t identify the specific target persona for a particular post, is it really worth writing? It makes the most sense to use these two sections in tandem. Put yourself in the shoes of that target reader, and think about which keywords he or she may be searching to find you. Use those keywords as the starting point for topic ideas. Then, analyze the performance of those articles in terms of metrics like views, social shares, leads generated, as well as feedback from comments. This is a great way to determine which topics resonate best with your various buyer personas, which should help to inform your future blog topic ideas. Speaking of leads, you want to generate leads from your blog too, right? That's why every blog post you publish should include a call-to-action (CTA) for an additional lead-generating offer that visitors must fill out a form to obtain. This provides you with their contact information (which enables you to nurture them later) and thus helps push readers closer and closer toward becoming customers. This is where the lead gen aspect of your blog really shines. 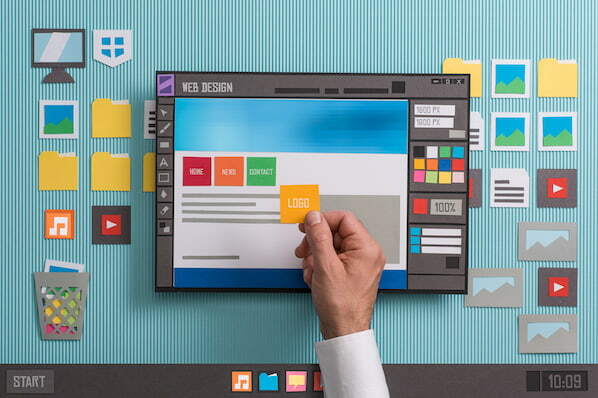 To learn more about proper CTA selection, check out this blog post. On the flip side, if you have a great new marketing offer you want to promote, this is another strong starting point to brainstorm your next blog post. Can you write a blog post on a similar or related topic that enables you to incorporate a call-to-action for your desired offer? Consider how you can use your blog to promote your amazing offers, and come up with article topics from there. Use this column in your template to keep track of which offers you're promoting in each post. This can also come in handy for making sure you're not mistakenly using the same CTAs over and over ... and over ... again -- particularly if you have a lot of high-performing offers to choose from.